So this is the part where I would usually write a short recap of what happened in the respective episode. But since this is a season review, the recap wouldn’t be all that short, because a lot happened. So instead, I’ll just jump into the separate discussion. If you haven’t finished the season yet, this is where you should stop reading. Actual rainbow: Okay, you should probably know from the start that Karolina is my favorite (yes, the gay one is my favorite, shocking). She’s been through quite the emotional rollercoaster this season. Discovering you’re an alien (or half-alien) can really mess with your head. Trusting Jonah early on in the season probably wasn’t the smartest choice, but I get where she was coming from. He was the only one who could tell her what she is. However, I don’t think she should’ve hidden it from the rest of the group. I know she was afraid of what they’d say, but the longer she stayed quiet, the worse it got. When Jonah ‘died’, I don’t think it was really him she was mourning, but more the side of herself she’d never truly get to know now (since she thought she was the only alien left). Her relationship with her other 2 parents is a complicated one. Last season she was closer to Frank than Leslie, yet this season that seemed reversed. Probably because Frank really lost his marbles and went full on cult fanatic, while Leslie started to see how badly she screwed up. And it couldn’t have come at a better time. 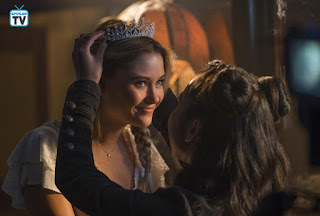 Karolina is really going to need her mother, not just to get rescued but to help deal with the fallout from Karolina revealing her powers to the church’s followers. This one has issues: Alex was just a little ball of rage this season, wasn’t he. Can’t say I blame him, though. His parents, specifically his mother, have done some messed up stuff this season. He seemed to have found a home with Darius and his family, especially Livvy. But his parents had to go and ruin that for him as well. He let his anger guide him a lot this season, which didn’t always work out so well. In the end, though, he went for a non-violent solution by planting the gun in their car. But I wonder how long it’ll be until they’re free again. I hope Alex has found a way to move past that anger now because he’s going to have to be at his best if he wants to save his friends. Oh, you naïve idiot: Out of all of the runaways, Chase was always to one who hadn’t completely given up on his parents. Which is odd because, before the truth came out, he was the one with the worst home life. His dad had a lot of anger issues that he took out on his family, to the point where his mother had to shoot him to protect Chase. Yet when his dad told him he was dying, not going home just wasn’t an option for him. He just has to take care of everyone. That’s what he tried to do with Gert, though he sometimes failed miserably. He wants to see the best in his parents, he wants to believe that they’ve changed. And I actually think they had (a bit). I think things would’ve gotten a lot less violent this season had it not been for the alien possession. He did make some valid points about this being a battle they couldn’t win. No matter how many awful things they had done, at the end of the day, those were still their parents. The people that raised them and love them. There’s only so far they could go against them without becoming like them. 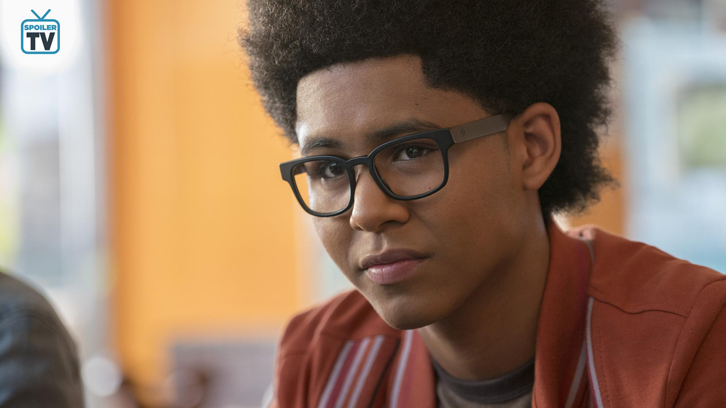 The darkness that lurks within: Nico seemed perfectly happy and confident in the first part of the season but her turning point came when she ‘killed’ Jonah. It’s clear the staff she uses has a mind of its own. I think that when she found out who killed her sister, the staff started praying on her grief and anger, to the point where it completely overtook her. Her mother clearly knew more about this, perhaps she’s been through it herself but overcome it. I wouldn’t be surprised if a large part of Nico’s storyline next season is her fight for control. Her relationship with her parents remains complicated as ever. Nico and Tina are equally stubborn. It’ll be interesting to see how Nico reacts when she learns her mother is possessed. Baby of the group: Out of all of the runaways, Molly is probably the one with the least ties to Pride. The one least likely to be won over. And not just because her parents are dead. Because she was happy with Stacey and Dale before everything went down. But ultimately her loyalties lie with Gert. However, it was clear this season that she’s desperate for something resembling a family. It’s why she was so quick to believe Topher, and crushed when it all fell apart. I think that after that she started to shield herself more from anyone other than the runaways. They were her family now. And when Chase decided to leave, she and Gert were the most upset. I can’t wait to see what she’ll do in season 3 (if we get one). You know she’ll do anything for the runaways. I mean, this girl is the living embodiment of the ‘fight me’ emoji. (?'?-'?)? 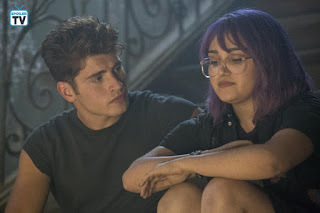 Give this girl a vacation: Gert has had an exhausting season, being off her meds, getting poisoned through her dinosaur, getting chased by her crazy mother, getting kidnapped by her slightly less crazy father. We didn’t really get to see her and Old Lace in action all that much, but it was certainly an emotional whirlwind. Especially between her and Chase. They seemed to be in a great place last season but things quickly fell apart while on the run. I hope these 2 manage to work things out. I actually think they’re good together but I doubt it’ll be anytime soon with both of them kidnapped by different people. Favorite romantic relationship: If you have to ask which couple was my favorite this season (or last season) then you haven’t been paying attention. Karolina and Nico, of course. Though, they did have their issues. Karolina kept a huge secret from Nico, which I was not happy about. However, once she found out the link to Amy’s death, she told Nico almost immediately, despite knowing Nico would be furious. I think that that was why Nico forgave her a lot sooner than she did Alex. 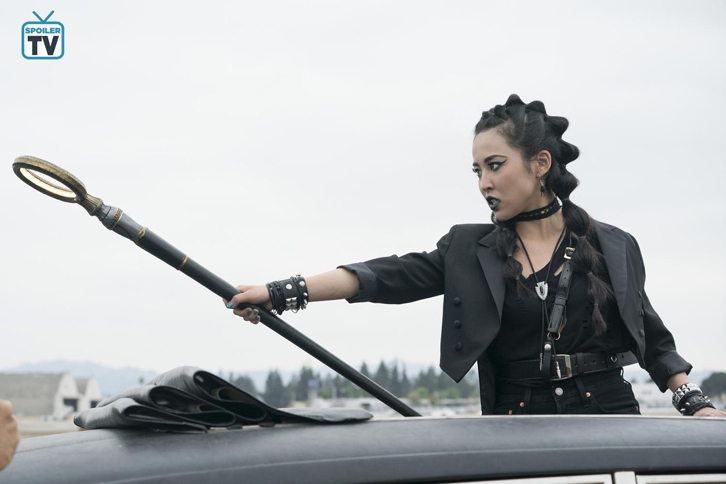 But then Nico lost control and ‘killed’ Jonah and what was then believed to be Karolina’s last chance to find out what she is. I actually think that Karolina understood why she did it, but they both needed some time apart to process everything. They were starting to find their way back to each other when they were rudely interrupted by Karolina’s new stalker Xavin. I must say that they both handled that situation remarkably well. If someone came to be saying I was their betroth I’d probably say something along the lines of “over my dead body”. But I guess having Xavin around might be handy now that Karolina’s been kidnapped. Favorite non-romantic relationship: I love all of the platonic relationships on this show but my favorite has to be the bond between Gert and Molly. They truly are sisters. No matter what, they will fight for each other. I hope to see much more of them next season. Most interesting element: There was a lot going on this season but the alien aspect is what intrigued me most. We don’t really know that much about them yet, except that they glow and can possess people. I like that the writers aren’t giving us all the information at once. It keeps the mystery alive. I do, however, have a lot of questions that will hopefully be answered soon. The parents: There were a lot of confusing moments where the parents are concerned. And a lot of it has to do with the possessions. Mainly, because I can’t figure out which moments were actually them and which moments where the aliens taking over. Pride really seemed to be going against Jonah at first, siding with their kids (even if the feeling wasn’t mutual). But then something changed, they became more violent again. Sure, Tina, Victor, and Stacey were the instigators when they suggested those approaches but the other parent went along with it. And even when they weren’t possessed, they didn’t seem to find the idea of building weapons against their kids all that weird. The only parent who seems to have turned over a new leaf is Leslie. She was isolated from Pride’s storyline in the second half of the season and seems to have made a clean break from them. It’ll take a while for Karolina to forgive her mother but they seem to be headed in the right direction. It also doesn’t hurt that Leslie is pregnant and probably wants to do better this time around. I wonder how long it will take the other members of Pride to catch on that something isn’t right. What’s next? As I am writing this review, one week before the premiere date, there has been no renewal or cancellation news. 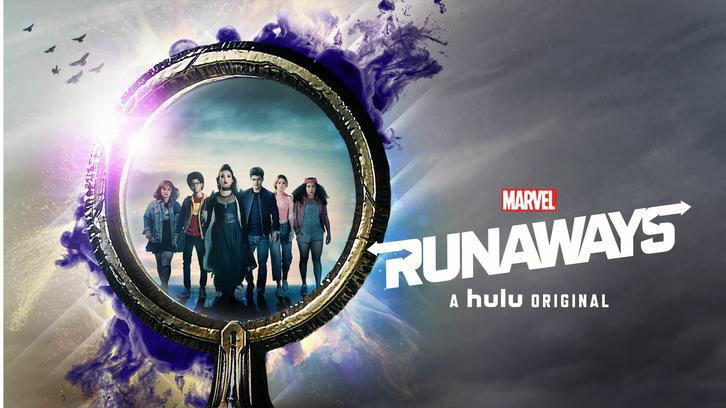 So, I am here to plead with Hulu (and Marvel) to please renew this show for a third season. Letting it end on that cliffhanger would be very cruel. We’ve already lost enough Marvel shows recently, do not rob us of this one. The season ends with our runaways split in 3. Gert is trapped with her dad, Karolina and Chase are held captive by 3 possessed parents and Nico, Molly and Alex are left alone with a pregnant Leslie and an alien without having any idea what happened to their friends. And if that wasn’t bad enough, it seems that one of them may be possessed as well. I think it’s safe to rule out Karolina since she’s already alien. And I think they would’ve noticed by now if it were Chase. If it were Nico, there probably would’ve been a power conflict with that staff. So that just leaves Molly, Alex, and Gert. It’s possible the alien hasn’t been able to surface yet, or could it possibly be none of them. Perhaps a stranger that was close enough to the crater (who knows what the distance is on possession) or even Leslie’s unborn child (though, that seems unlikely). We need to know, so give us season 3.